Green calico-grain cloth. Gold stamping on front and spine. No decoration on back. Top gilt. 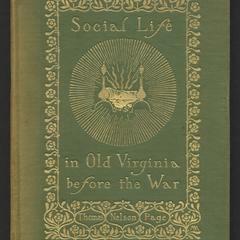 Signed binding: MA in lower-right of front cover attributed to Margaret Armstrong. 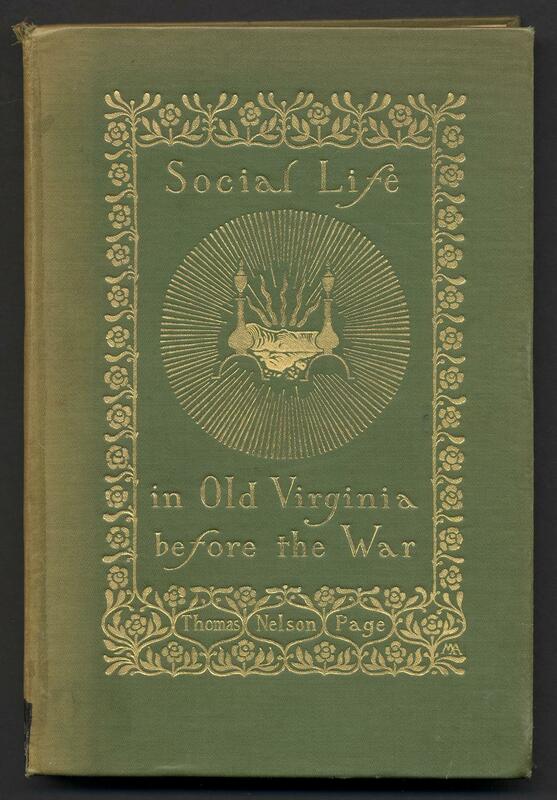 Book topics: Virginia--Social life and customs. Height: 21 cm. ; Width: 14 cm. ; Depth: 2 cm.